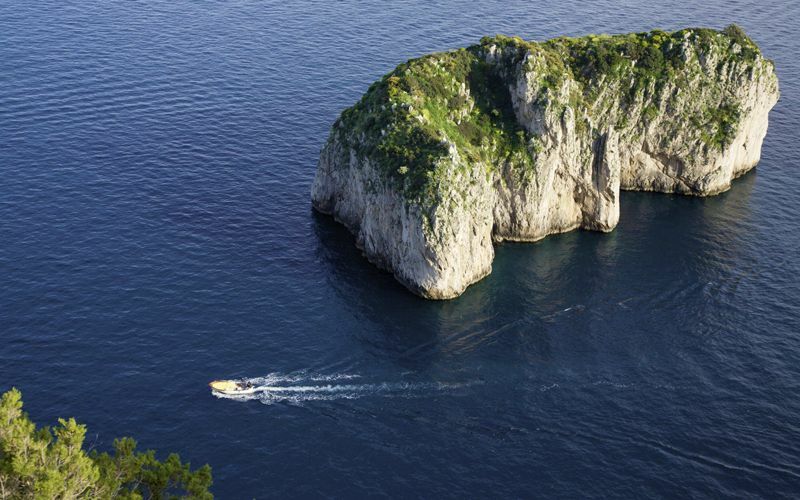 Enjoy the essence of Capri at "La Scalinatella", elected "Best Hotel in the World" by Condè Nast Traveler magazine. 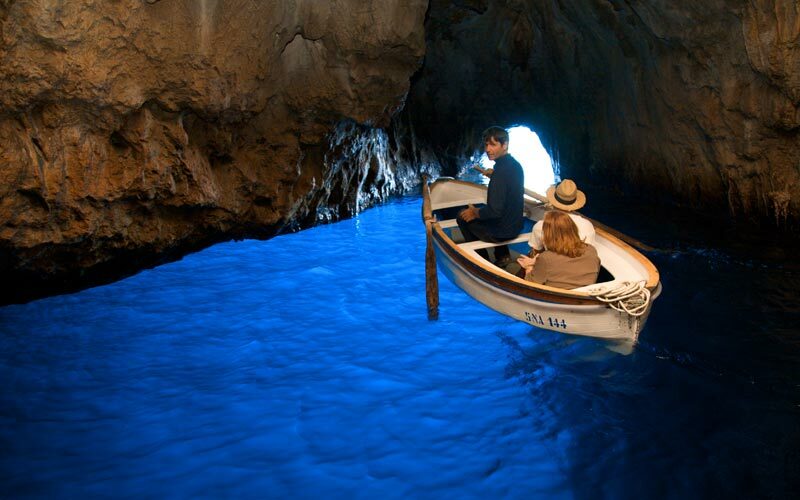 Ever since it's opening, in the 1950's, the "Bella Scalinatella" , as repeat clients fondly call it, has been the preferred haven of those eager to experience the effortless elegance and the unique lifestyle of Capri. 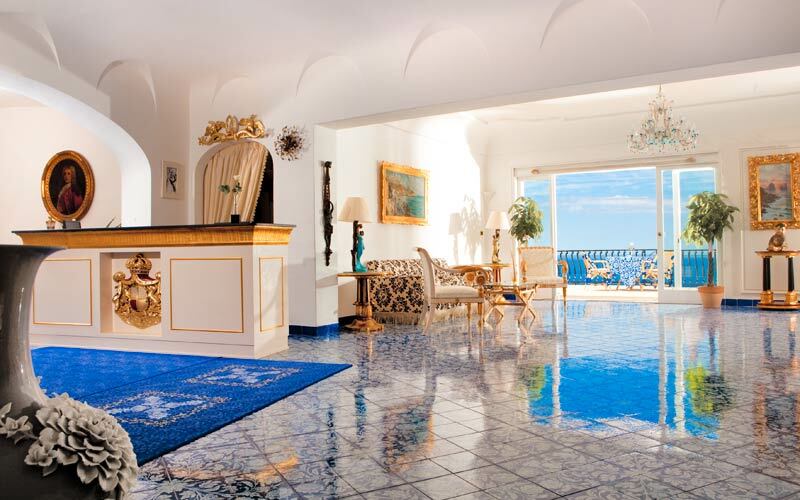 Thirty bedrooms in which dreams invariably come true. 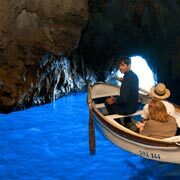 An intimate boutique hotel, managed by the Morgano family, owners of all of the island's most beautiful hotels. 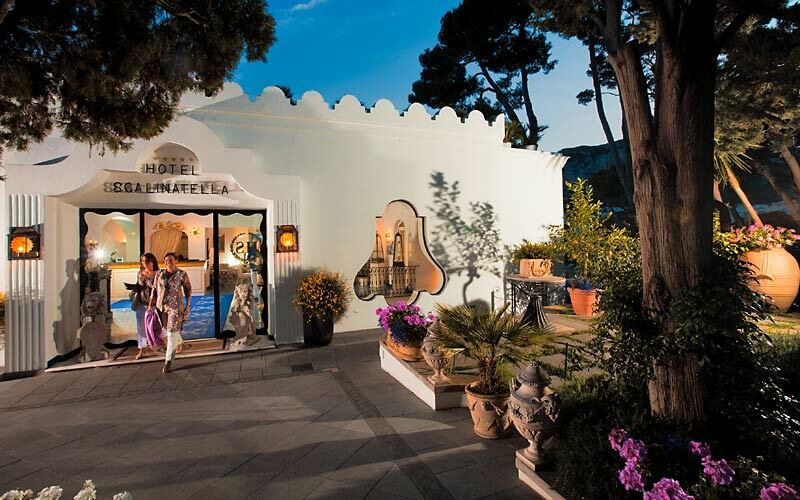 As you stroll along the flower festooned Via Tragara, past fragrant gardens and tantalizing glimpses of the sea, you'll soon come across the Moorish façade of La Scalinatella, beyond which moments of blissful relaxation await. 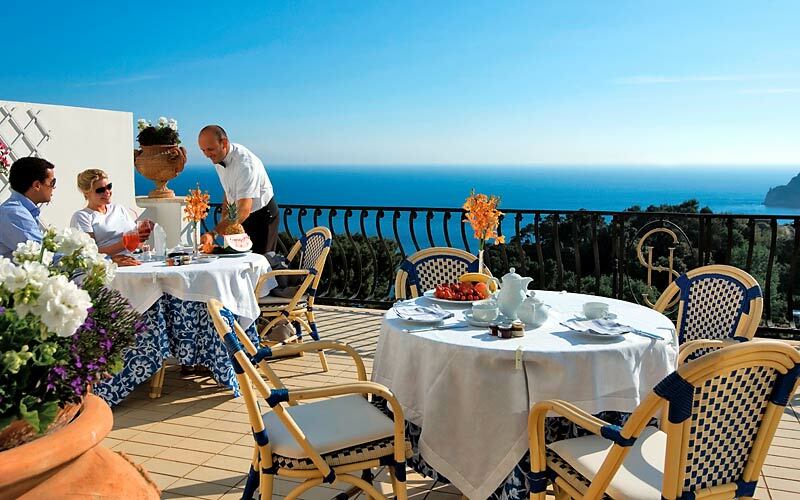 Luxuriate in the glorious Mediterranean sun by one of the hotel's swimming pools, savor the delicious island cuisine served on the sea view terrace at lunch time, indulge in hours of professional pampering: at La Scalinatella, the word stress has yet to be invented. 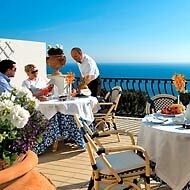 Hotel La Scalinatella's sumptuous bedrooms and suites and villas open out on to sweeping sea view terraces. 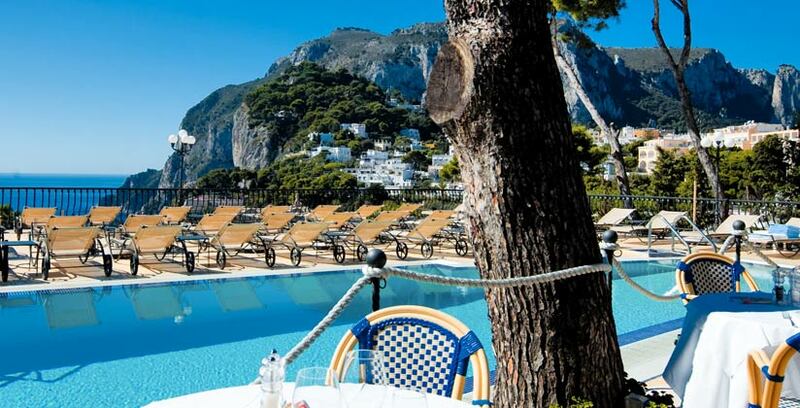 A delicious break between a swim in the pool and a snooze in the Mediterranean sun. 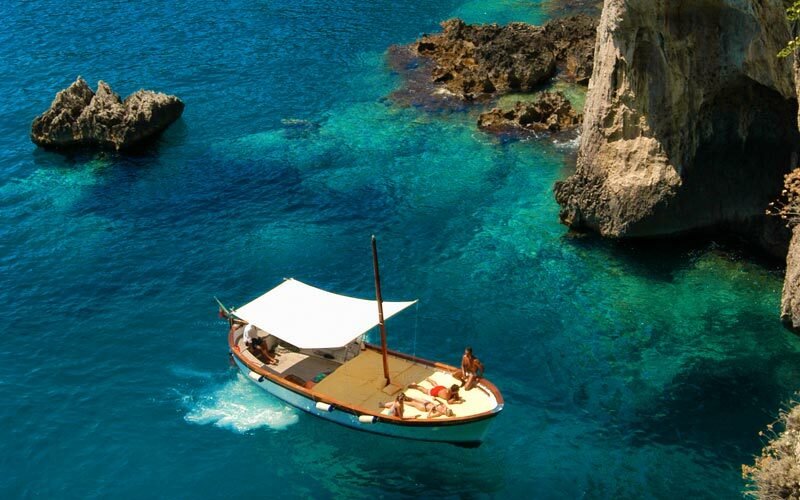 Hotel La Scalinatella has has not one but two gorgeous swimming pools, both of which face the sea. 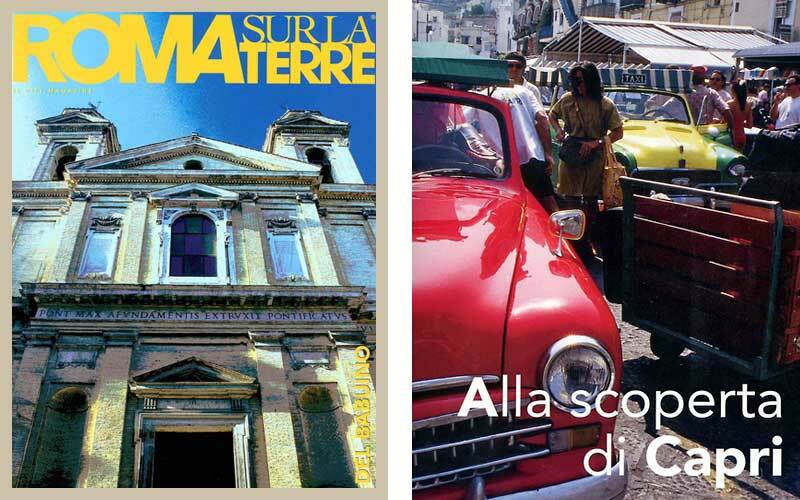 and is not suitable for those traveling with children. 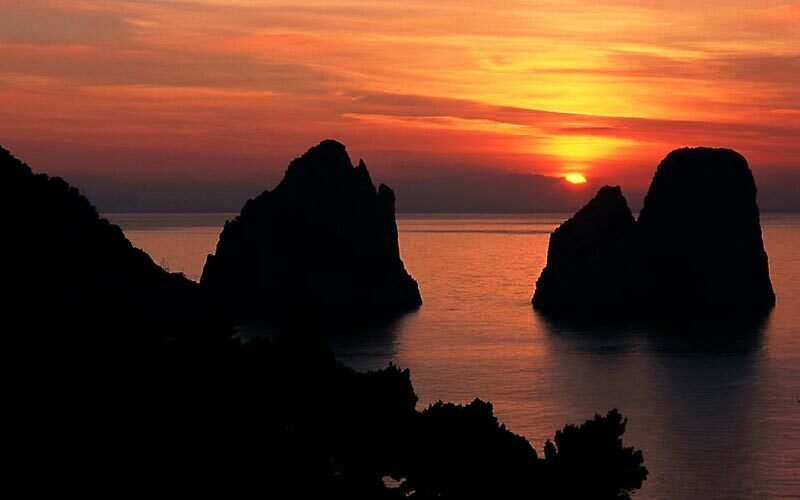 La Scalinatella is located in Capri, on Via Tragara, a peaceful pedestrian path which terminates at the Belvedere from where a spectacular view of the Faraglioni rocks can be seen. 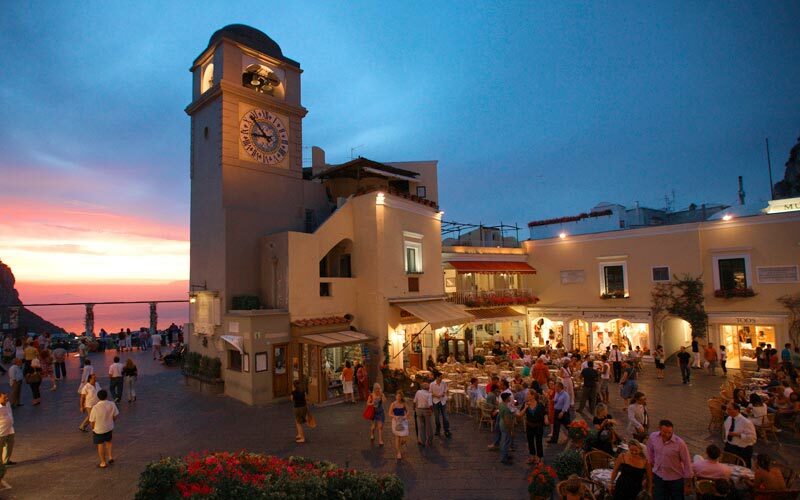 The island's fashionable Piazzetta is just a short walk away. 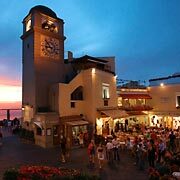 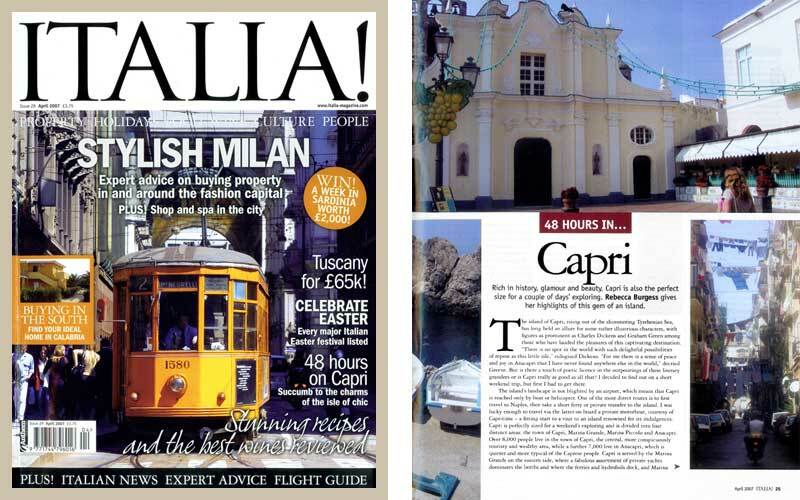 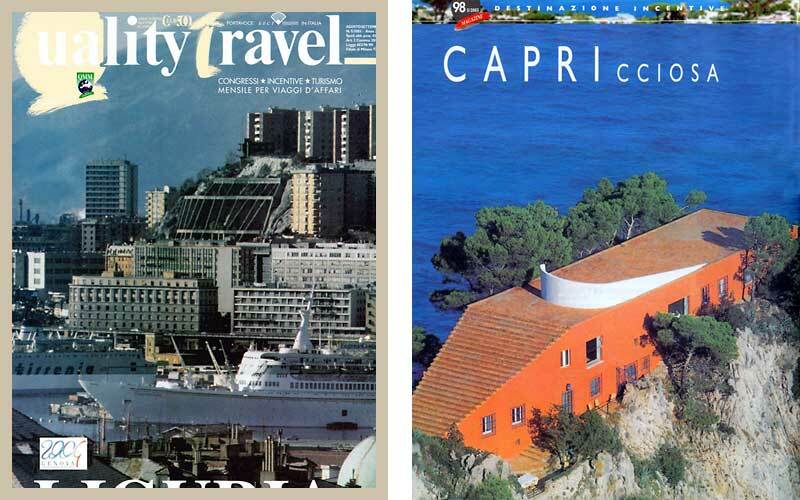 For detailed information of how to get to the Island of Capri and the hotel, download our guide. 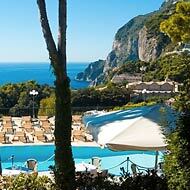 "A luxury fivestar hotel, La Scalinatella is located in a panoramic and peaceful area of central Capri. 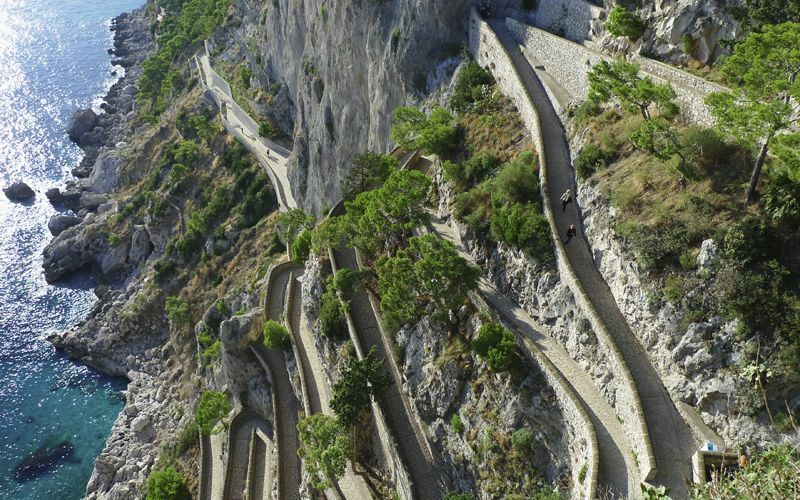 With whitewashed walls, lemon trees and stunning architecture." 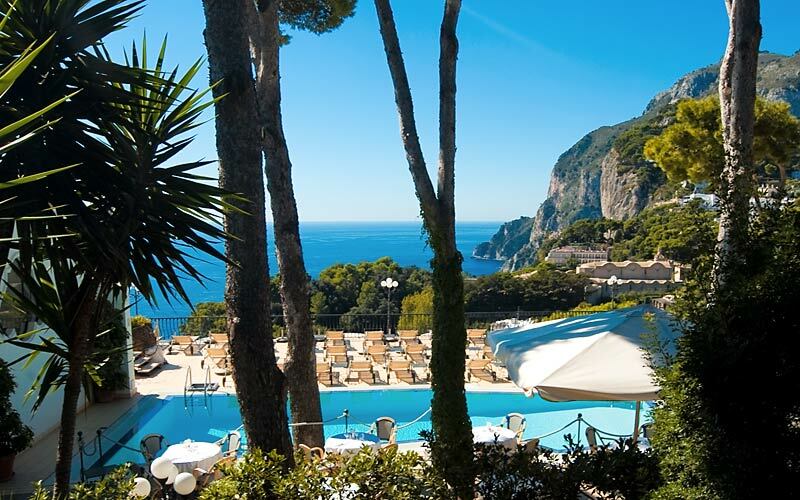 La Scalinatella is a five star hotel in one of the most exclusive parts of Capri and offers spacious, refined and romantic facilities. 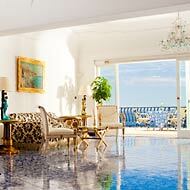 The rooms are enriched by a distinctive floor of local ceramic. 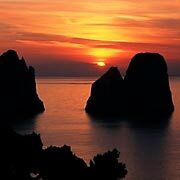 "La Scalinatella offers an unequalled view over the Monastery of San Gregorio, antique furnishings and beautifully appointed rooms. 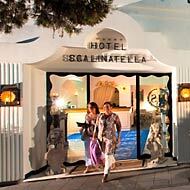 The hotel is known in America as 'La Bella Scalinatella'."